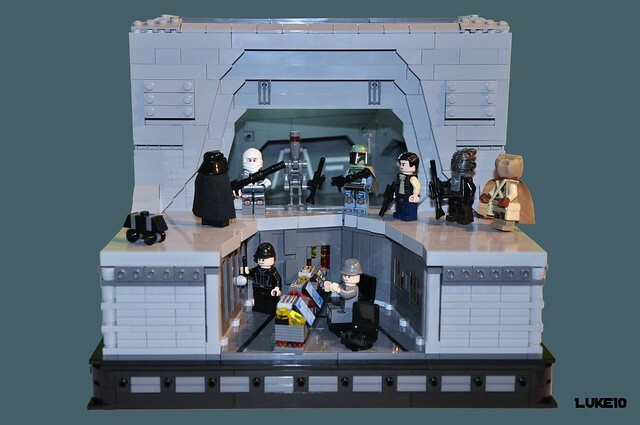 This MOC, inspired by one of my favorite movies of all time, The Empire Strikes Back, make me happy and confused at the same time. Of course anything Star Wars gives me a warm fuzzy, so that explains the happiness. 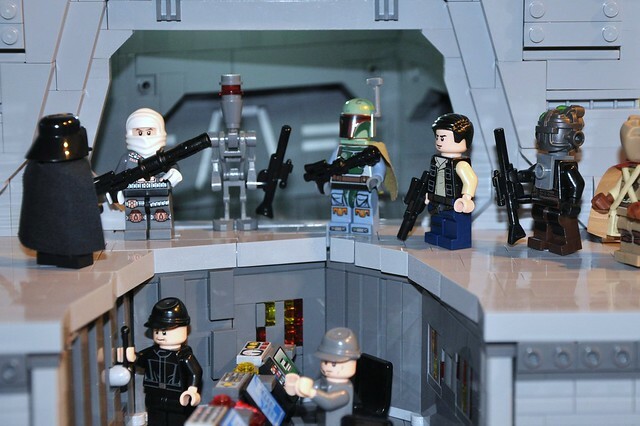 But why Bossk has been seemingly replaced by Han Solo is totally baffling to me. Explain yourself Burglarhobbit. Update: It turns out part of the contest this was submitted to dictated that you include "yourself" in the MOC. So this is Burglarhobbit, dressed as Han Solo, making a cameo (I'm sure it still confused Vader to no end).